As the Trap scene evolves, new sub genres develop creating new divides and an ecletic sound of their own, one of those uber cool arms of Trap is Future Trap. This diverse sound grabs the essential elements of Trap and adds melodic, authentic and even romantic melodies. It’s a blissful, fresh new branch on the Trap tree and we’re loving it! 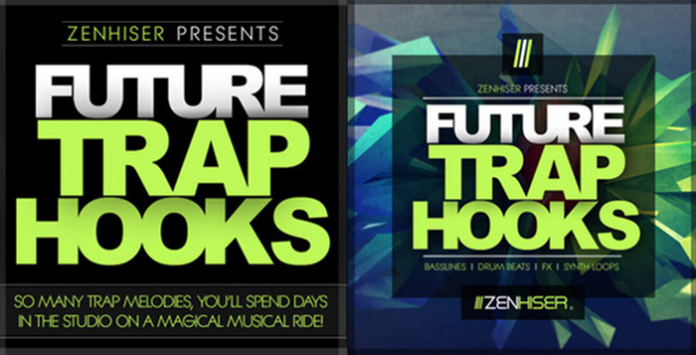 ‘Future Trap Hooks’ grabs all these elements and morphs them into a melting pot of brand new, exciting Trap melodies that summarises the Future Trap scene perfectly. Instead of going harder and darker Future Trap saturates it’s tracks with popular synths and takes it’s listeners on a truly music ride. Crammed full of everything you need to distinguish yourself from the rest ‘Future Trap Hooks’ bursts at the seams with over 500 Trap samples and loops. We pushed the boundary with this Zenhiser pack, giving it a very distinctive sound and an array of melodies that should push your tracks to the top of the Trap charts.